Your Thai Yoga Massage can be customized to your own special needs. Whether you want to relax and and release stress, want special attention to specific areas in your body or want a strong full body massage that targets all the muscle groups in the body, Thai Yoga Massage is the perfect treatment for every body. 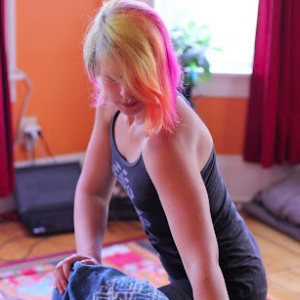 Mary offers Thai Yoga Massage in Boston, Cambridge, and Somerville. She also offers mobile Thai Massage. For ultimate relaxation we travel to your home or hotel in the greater Boston area. Sliding scales are my unique way of practicing Dāna or generosity. It is up to the client to decide on a rate that reflects what they can comfortably afford, and what it is worth to them, ideally reaching a number that can ensure a sustainable relationship for all parties. *Sliding scale rates do not apply for same day bookings, weekend bookings, home visits, or visits ending after 7 pm. Day of 1 hour massages are 125. Cash, cheque, paypal, Venmo, BoA transfers, and Google Wallet are accepted for payment. I absolutely love getting massaged by Mary. She takes the time to figure out what you need and with her knowledge of the thai massage is able to pick out techniques to suit your exact requests. Her soothing voice, confidence in her practice as well as her smooth transitions lull you into relaxing to gain the full benefit of your experience. She paces her movements beautifully with your breath, and is not afraid to remind you to breath if needed. Mary is also attentive to requested varying pressures ranging from a lovely relaxing massage to a deep massage revealing muscles you may never knew existed. Mary is a rarity. She is well practiced, constantly furthering her education, and is naturally skilled at her Thai massage. Not only am I pleased with her work, I am confident that, based on her devotion to massage, she will continue to improve. For those of you whom haven’t tried Thai massage, its time to. You certainly won’t regret it. This was like an investment in my muscles. Typically massages just feel great while they are going on and you feel relaxed after. This is more like rehab for sore/torn muscles. Pretty sure I’ll feel great for days. Highly recommend. She is also very laid back and friendly too. We offer home visits in the Boston, Cambridge, and Somerville area. Thai Massage can be practiced in any outdoor space - like they do in Thailand.